The cardiovascular risk in patients with hypothyroidism is related to an increased risk of functional cardiovascular abnormalities and to an increased risk of atherosclerosis. The pattern of cardiovascular abnormalities is similar in subclinical and overt hypothyroidism, suggesting that a lesser degree of thyroid hormone deficiency may also affect the cardiovascular system. Hypothyroid patients, even those with subclinical hypothyroidism, have impaired endothelial function, normal/depressed systolic function, left ventricular diastolic dysfunction at rest, and systolic and diastolic dysfunction on effort, which may result in poor physical exercise capacity. There is also a tendency to increase diastolic blood pressure as a result of increased systemic vascular resistance. All these abnormalities regress with L-T4 replacement therapy. 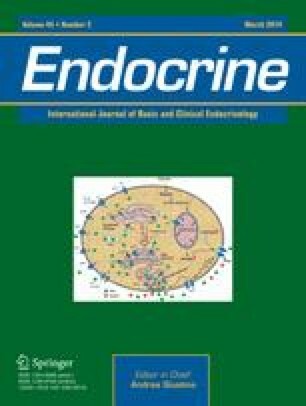 An increased risk for atherosclerosis is supported by autopsy and epidemiological studies in patients with thyroid hormone deficiency. The “traditional” risk factors are hypertension in conjunction with an atherogenic lipid profile; the latter is more often observed in patients with TSH>10 mU/L. More recently, C-reactive protein, homocysteine, increased arterial stiffness, endothelial dysfunction, and altered coagulation parameters have been recognized as risk factors for atherosclerosis in patients with thyroid hormone deficiency. This constellation of reversible cardiovascular abnormalities in patient with TSH levels<10 mU/L indicate that the benefits of treatment of mild thyroid failure with appropriate doses of l-thyroxine outweigh the risk.